Volkswagen’s response to its emissions crisis has been slow and considered – or just slow, depending on your point of view. It swapped CEOS in an unseemly rush, ousting Martin Winterkorn and replacing him with Matthias Mueller from its Porsche business but then, mostly, kept schtum. Media questions were fielded by a battery of lawyers as well as PR people, allowing all sorts of fanciful estimates of the cost to VW of the crisis to go unquestioned. But news emerged (or seemed to emerge) that the consequences for the company of installing emissions cheating software in many of its cars might not be as bad as first thought; taking an optimistic view of the likely activities of US class action lawyers and prosecutors. 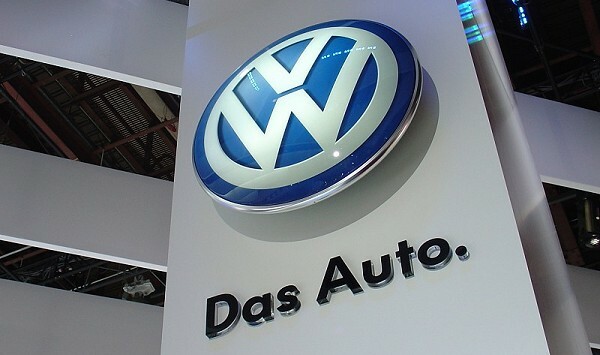 Now, under new brand boss Herbert Diess, who joined the company from BMW in July shortly before the scandal broke, the company has announced its first bit of brand re-engineering: ‘Das Auto,’ the slogan it has been running since 2007, is to be ditched in favour of ‘Volkswagen.’ Er, so what? ‘Das Auto’ is deemed too arrogant, running, as it did, under the VW logo with nary a mention of ‘Volkswagen,’ which, you may, recall, means ‘people’s car.’ We won’t go into the provenance of that. VW, it’s true, has changed from being the classic challenger brand, famously encapsulated in the DDB campaigns of the 1960s (below), to being one of the two biggest car manufacturers in the world (alongside Toyota which also specialises in recalls these days); taking on German rivals BMW and Mercedes with its top of the range VW models and Audi. It’s also acquired Porsche, Bentley, Bugatti and Lamborghini among others. But the new diet is humble pie, it seems. This is a big test for agencies Deutsch LA in the crucial US market and DDB in its European heartland. I doubt that we will see “there’s nothing in life as reliable as a Volkswagen’ any time soon. So where do they go? Consumers can have pretty short memories, in this case if the cars still work (presumably they do) and they’re priced with a degree of humility. DDB in Germany calls the shots on the European VW account. I wonder what role the UK’s all-conquering adam&eveDDB might play as VW moves, tentatively, on to the front foot.